Congratulations! You made it through the first month of 2018, but have you been keeping up with your New Year’s resolutions? 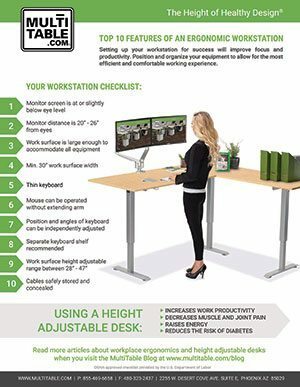 To help you stay productive with your healthy new year’s goals while working at your height adjustable desk, we created a checklist with the Top 10 Features of an Ergonomic Workstation. 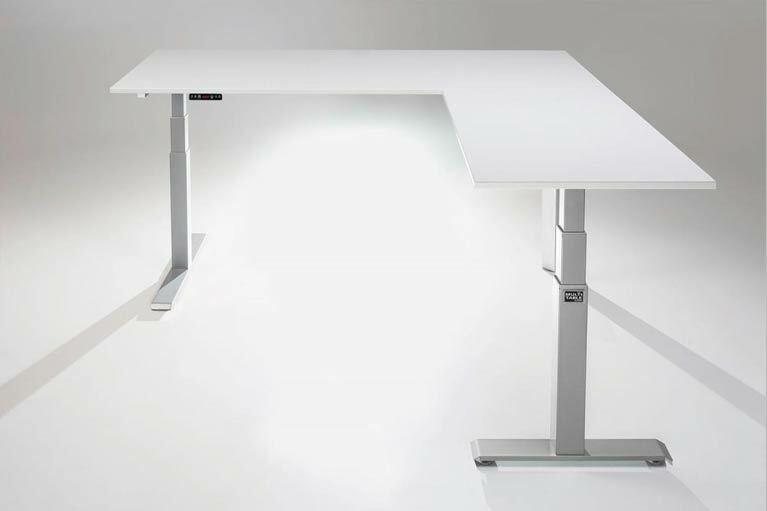 We can’t stress enough how important it is to stay moving with your MultiTable Height Adjustable Standing Desk throughout your work day. 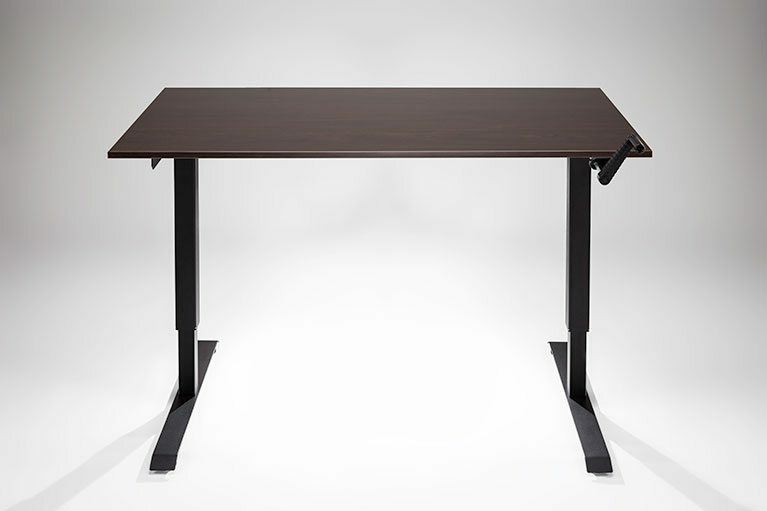 According to a recent Texas A&M study, workers that could raise or lower the desk to stand or sit as they wished throughout the day were about 46 percent more productive than those with traditional, seated desk configurations. Make sure your monitor screen is at or slightly below eye level. 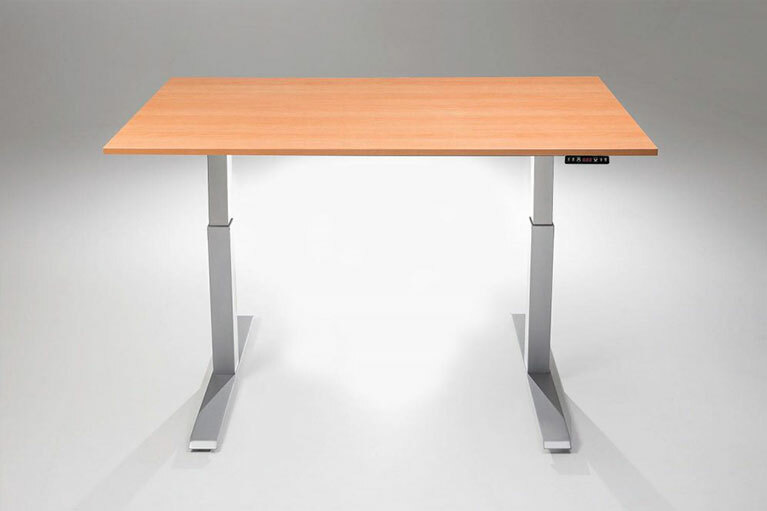 The top of your monitor should be at eye level, as you should be looking down at your work, not up. With MultiTable’s Monitor Arm, you are able to adjust height, tilt and distance to find the perfect spot for your comfort. 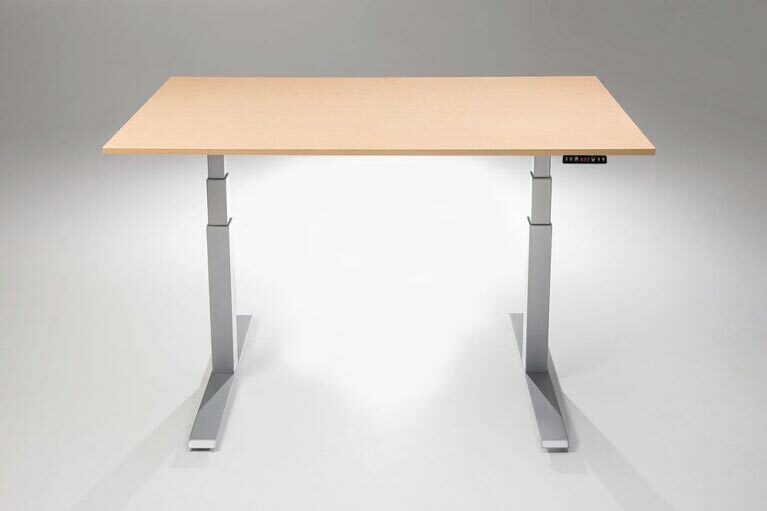 Keep your monitor at a 20” to 26” distance from your eyes. If your screen is too far away, you’ll start craning your neck forward, which can lead to neck pain. Place the monitor too far away, and you’ll find yourself extending to reach it. To find the sweet spot, sit back and extend your arm. The tips of your middle finger should land on your screen. Keep your mouse at a reachable distance without having to fully extend your arm. Reaching for the mouse will cause you to lean forward and support the weight of your body through your extended arm, which can constrict blood circulation to your limbs. 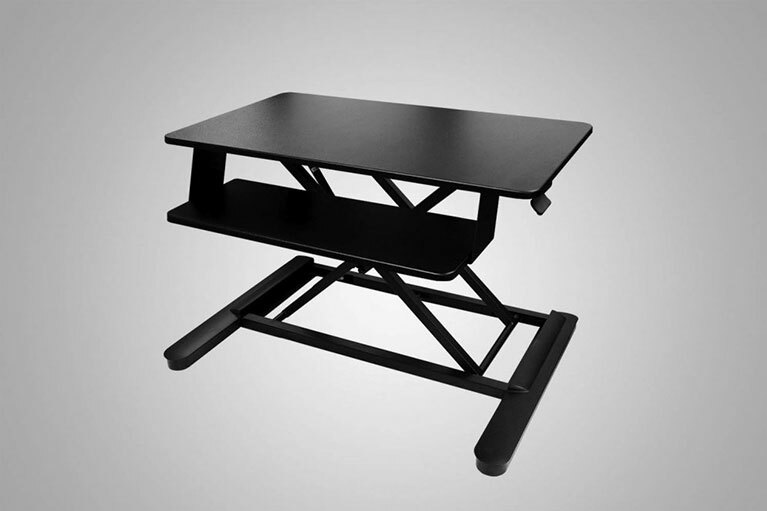 MultiTable’s adjustable Keyboard and Mouse Tray allows you to comfortably angle your keyboard and mouse platform to an ergonomically accurate position without having to reach forward. Download the complete checklist on how to set up the optimal work workstation so you can stay productive and healthy in 2018.